Great news that Nick Powell is staying. Can he stay fit and reveal his true potential? As a Wigan Athletic fan, I have come to dread the last days of the transfer windows. Last night I was anxiously waiting for news, hoping and praying had the chairman would back his manager by letting him keep his key players. Were the likes of Dan Burn, Will Grigg, Michael Jacobs, Sam Morsy, Max Power and Nick Powell going to stay? The end result was largely a feeling of relief, tempered by the surprise late departure of Alex Gilbey and the absence of a new right back among the signings. But David Sharpe had resisted the urge to cash in on his prized assets, despite the economic pressure weighing heavily on him. It can be seen as a statement of intent that the chairman is willing to provide the broad financial backing needed to get the club back in the Championship division, given the low potential revenues coming in. However, the bitter pill will be somewhat sweetened by some £1.2 m brought in during the summer sales. How many times in recent years have the dealings made in those transfer windows put the club in a better situation in the longer term? Warren Joyce signed eight last January, only one of whom is with the club now. Uwe Rosler signed nine new players in the summer of 2014, giving him a squad that was too big, making it difficult to handle. Almost half of the new boys were gone by the end of the January window. But worse was to come as Malky Mackay signed twelve in the winter months, only one of whom remained when the 2015-16 season started. It remains to be seen whether this summer’s transfer activity will leave Latics in a better state that they were in at the end of last season. Harsh economics have come into play, forcing the club to cut its budget in the region of 60%. The reality is that the revenues the club will have coming in League 1 are way below what they had in the Championship, where they were buoyed by parachute payments. The squad remains strong enough to fight for automatic promotion, providing injuries do not prove too troublesome. The squad is well balanced and has a wealth of quality players for the division they are playing in. When Gary Roberts was brought in it looked like Nick Powell was on his way out, but it turned out to be Alex Gilbey. Like Powell, Roberts has a lot of flair and can both create and score goals. The long-term injury suffered by Craig Morgan meant that another central defender would be brought in. Providing he stays fit Alex Bruce has the know-how and experience to be a top player in League 1. The right back position remains problematic. It was a surprise not to see a new player drafted in. Nathan Byrne has established himself as the first choice in that position, but both Luke Burke and Donervon Daniels have been sent out on loan. We can only assume that if Byrne is unavailable then one of the central defenders or Max Power will be drafted in there. Injuries took a major toll last season. Donervon Daniels and Reece James did not play a single league game and Alex Gilbey, Will Grigg, Andy Kellett and Nick Powell were absent for long periods. Gilbey has now been sold. Daniels and Kellett have been sent out on season-long loans with just one year of their contracts remaining. Grigg appears to be approaching full fitness and James has done well since his return. Powell appears to be building up his fitness, but has not yet been able to last the full 90 plus. However, an injury to the excellent young loan goalkeeper, Christian Walton, is a real blow for Latics. Paul Cook has brought in Matija Sarkic from Aston Villa, but the 20-year-old lacks EFL experience. It appears that Jamie Jones will be first choice until Walton is fit to return. Paul Cook has made some good moves in the transfer and loan markets. Cook’s signings of Noel Hunt and Gary Roberts from Portsmouth have hardly gone down well with most fans. Hunt is 34 and Roberts 33. However, they are on one-year contracts. Based on what happened at Portsmouth, Roberts is more likely to appear more regularly than Hunt who is most likely to be used as a substitute. But Cook has not paid a penny for any of his 7 permanent signings, all of whom were recruited as free agents. He has raised funds by selling Omar Bogle, Kaiyne Woolery and Alex Gilbey. He has brought in 5 loan players, with Lee Evans, Christian Walton and Ivan Toney being ever-presents in the starting line-ups so far. Cook has used the pre-season and cup games so far to give youth a chance. The club has some fine prospects coming through its academy, including the 16-year-old Catalan, Victor Maffeo, who made his debut at Blackpool on Tuesday. Cook has sent out four of them on loan to clubs of a suitable level – Luke Burke to AFC Fylde (National League Premier), Callum Lang to Morecambe (League 2), Chris Merrie to Southport (National League North) and Sam Stubbs to Crewe Alexandra (League 2). James Barrigan, Luke Burgess and Josh Gregory remain. Economics need to be considered. Dave Whelan has owned Wigan Athletic since 1995. Although his grandson is the club chairman it is Whelan’s financial backing that underpins the club’s future. During the club’s ascent to the Premier League and its eight years in the top-flight Whelan put close to £100 m into the club. In recent years the club has been closer to making revenues and expenditures match. However, four years of parachute payments have been spent since Latics got relegated from the Premier League and the club is once again in League 1. It is rumoured that players were asked to take pay cuts when the club was once again relegated. But even if this has been the case and funds have come in through transfers (including that of Yanic Wildschut in January), the imbalance between revenues to be gained and player salary costs is a major issue. 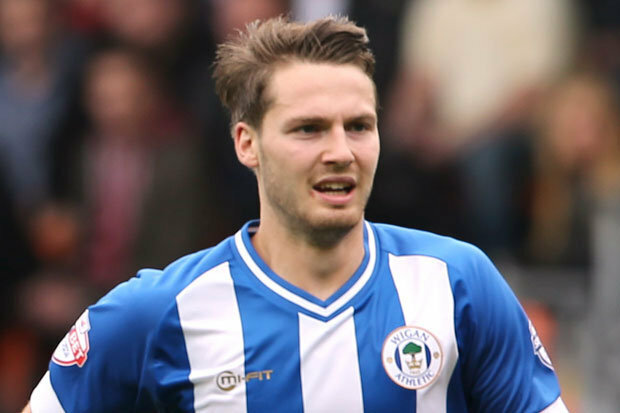 Given the recent history of cutting back on salaries when projected revenues could not support them, it is a surprise that Nick Powell is still at the club. Powell might well have taken a cut on his reputed £16,000 per week, but his salary almost certainly will still dwarf that of other players in League 1. Has Powell been retained in an ambitious bid for automatic promotion or has his horrendous injury record deterred other clubs from signing him or taking him on loan? Or are the Whelan family taking a gamble on the player regaining full fitness and not only propelling Latics back into the Championship, but also vastly increasing his net worth on the transfer market? Should this squad secure promotion, how would survival in the Championship look? The recruitment focus in the early Gary Caldwell era was to bring in “hungry” players in their early to mid-twenties who could provide the backbone of the team for the future. Donervon Daniels, Will Grigg, Michael Jacobs, Reece James, Andy Kellett and Max Power were among those. Ryan Colclough, Alex Gilbey, Sam Morsy and Yanic Wildschut were to follow. Six of those players remain for Cook to call upon next week. Gilbey and Wildschut have gone and Daniels and Kellett sent on season-long loans in the final years of their contracts. Last season’s squad was good enough to ensure survival in the Championship. It was the inept management of Warren Joyce that took Latics down. However, some £12 m in parachute payments underpinned a wage bill of around £18 m.
Put simply: if Latics were to go up it would need significant investment by the Whelan family to keep them there in the absence of parachute payments. Will Grigg and Michael Jacobs need to be offered new contracts. Cook had said that contract extensions would be looked at once the transfer window was closed and he had the squad he wanted. Failure to offer the two players extended contracts will mean they will be free agents at the end of the season. The complication is not knowing what division Latics will be in next season. Let’s not forget Reece James, who will also be out of contract next summer. James has done well to come back after being out for so long and has looked impressive so far. If he can prove his fitness, surely he too will be offered a contract extension. Excellent piece. Powell a no brainer to keep as if he stays fit he will get us up and undoubtedly be worth good money in this inflated market next season. The team is good enough to get us,promoted but we lack numbers especially at right back unless we get the kid in on loan from liverpool. Barring injuries and a cup run which we will probably try to avoid, the club has built a squad for promotion and nothing else. Hopefully we achieve it! !